Yesterday science writer Ferris Jabr posted an article on the Scientific American website called How to Really Eat Like a Hunther-Gatherer: Why the Paleo Diet is Half Baked. Some of his gripes with paleo are accurate, but not unknown to paleo afficiandos and others are simply not well thought out. I’ll go through them here one by one. On his website, Sisson writes that “while the world has changed in innumerable ways in the last 10,000 years (for better and worse), the human genome has changed very little and thus only thrives under similar conditions.” This is simply not true. In fact, this reasoning misconstrues how evolution works. If humans and other organisms could only thrive in circumstances similar to the ones their predecessors lived in, life would not have lasted very long. There is a difference between ‘surviving’ and ‘thriving’. In terms of health and happiness I would not consider the majority of the human race today to be thriving. 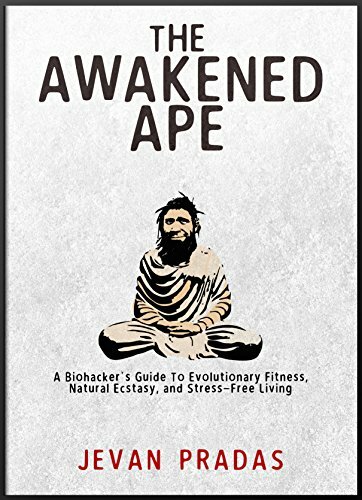 Obesity is skyrocketing, mental illness is everywhere and even those considered to be of normal psyche’s are far more stressed out than your hunter-gatherer’s – who really do exhibit a remarkable lack of stress and worry. And while species do need to be able to survive new environments; and while we have evolved slightly since the paleolithic era, our genes have changed no where near as fast as our culture has. If you took a person from 20,000 years ago, gave him a haircut and dressed him in clothes from your local mall he would be indistinguishable from the other shoppers, albeit in better shape. However, that mall and everything inside placed next to a paleolithic village of huts would seem like from another planet. We are simply not adapted to live sedentary lifestyles, indoors and munching on the Western diet. Even if eating only foods available to hunter–gatherers in the Paleolithic made sense, it would be impossible. As Christina Warinner of the University of Zurich emphasizes in her 2012 TED talk, just about every single species commonly consumed today—whether a fruit, vegetable or animal—is drastically different from its Paleolithic predecessor. This critique of modern paleo diets is true. Although none of this is new to the paleo community. As Fabr himself writes, people who follow a paleo diet try and mimic the ones of their ancestors as best as we can. But where Fabr really gets into trouble is when he starts talking about our ancestors and their health. He writes..
Longevity Among Hunter-Gatherers: A Cross-Cultural Examination that found the modal age of death in extant hunter-gatherer tribes to be 72. While it is true that childhood mortality is much higher (which significantly brings down the mean age of death) in these cultures the reason for their early deaths has nothing to do with diet. It is believed that somewhere between 15%-50% all young babies died from infanticide. Many other’s during childbirth. Infant mortality in hunter-gatherer tribes was 30 times higher than in modern society and childhood mortality 100 times higher. The reason for these high rates is the natural dangers of living in the wild and living in a world without modern medicine. Ask yourself, would you have made it out of childhood if you had never seen a doctor? I know that I had a terrible case of pneumonia at age 2, and whose to say without the help of modern medicine that I would have survived. We can look at the chart of the actual deaths of members of the Hiwi tribe, the tribe that Jabr references and see exactly what it is that killed them. Most interesting is the data collected from pre-contact times as that would be the most telling of a natural hunter-gatherer tribe. Although it should also be mentioned that the Hiwi have a higher rate of mortality, especially from warfare as in comparison to other extant hunter-gatherer tribes. Of the 169 total deaths recorded, here is why they died. A recent study in The Lancet looked for signs of atherosclerosis—arteries clogged with cholesterol and fats—in more than one hundred ancient mummies from societies of farmers, foragers and hunter–gatherers around the world, including Egypt, Peru, the southwestern U.S and the Aleutian Islands. “A common assumption is that atherosclerosis is predominately lifestyle-related, and that if modern human beings could emulate preindustrial or even preagricultural lifestyles, that atherosclerosis, or least its clinical manifestations, would be avoided,” the researchers wrote. But they found evidence of probable or definite atherosclerosis in 47 of 137 mummies from each of the different geographical regions. Dr. Stephen Guyanet breaks down this study and what we can draw from these conclusions excellently here. Most importantly he writes that developing atherosclerosis does not equate to having a heart attack. Atherosclerosis may just be something that happens as we age and while it is a risk factor for heart attack, numerous studies of non-industrial cultures have shown them to have atherosclerosis and yet have almost zero incidence of heart attack. It should also be noted that only 6 of the mummies came from a hunter-gatherer culture (what an incredible sample size!) and these hunter-gatherer’s were from the artic, and had to adopt a very extreme diet out of necessity with almost no plant food. In other words, these are not your average hunter-gatherer’s- most of whom lived in more moderate climates. And even if heart disease, cancer, obesity and diabetes were not as common among our predecessors, they still faced numerous threats to their health that modern sanitation and medicine have rendered negligible for people in industrialized nations, such as infestations of parasites and certain lethal bacterial and viral infections. Actually many of the viruses that humans have fell to over the years came from animals that we were breeding. Hunter-gatherer cultures existed largely without these deadly viruses and hence had no immune system response to them when the white man came and devastated their populations with small pox and other diseases. Certain hunter-gatherer tribes never even got the common cold. While it is true parasites and bacterial infections were a problem, what does it have to do with modern people eating a diet based on our paleolithic ancestor’s? Absolutely nothing. If we compare the diets of so-called modern hunter-gatherers, however, we see just how difficult it is to find meaningful commonalities and extract useful dietary guidelines from their disparate lives (see infographic). Which hunter–gatherer tribe are we supposed to mimic, exactly? How do we reconcile the Inuit diet—mostly the flesh of sea mammals—with the more varied plant and land animal diet of the Hadza or !Kung? Chucking the many different hunter–gather diets into a blender to come up with some kind of quintessential smoothie is a little ridiculous. Here’s the thing about modern day hunter-gatherer tribes. They have been pushed to the ends of the earth by agriculture societies, and now only exist in the harshest of places. Places where most people have no desire to live. The Hadza and !kung live in sweltering heat of Africa, the Inuit in the freezing cold of the Artic and the Hiwi deep with the jungle of the Amazon where malaria runs amok and all sorts of other things large and small that want to kill you. Yes their diets are extremely different, but that is out of necessity of where they live and what is available to them. The vast majority of our hunter-gatherer ancestors would not have lived in such dramatic conditions and have far more variety and food available to them. Meet Grok. According to his online profile, he is a tall, lean, ripped and agile 30-year-old. By every measure, Grok is in superb health: low blood pressure; no inflammation; ideal levels of insulin, glucose, cholesterol and triglycerides. He and his family eat really healthy, too. They gather wild seeds, grasses, and nuts; seasonal vegetables; roots and berries. They hunt and fish their own meat. Between foraging, building sturdy shelters from natural materials, collecting firewood and fending off dangerous predators far larger than himself, Grok’s life is strenuous, perilous and physically demanding. Yet, somehow, he is a stress-free dude who always manages to get enough sleep and finds the time to enjoy moments of tranquility beside gurgling creeks. He is perfectly suited to his environment in every way. He is totally Zen….. 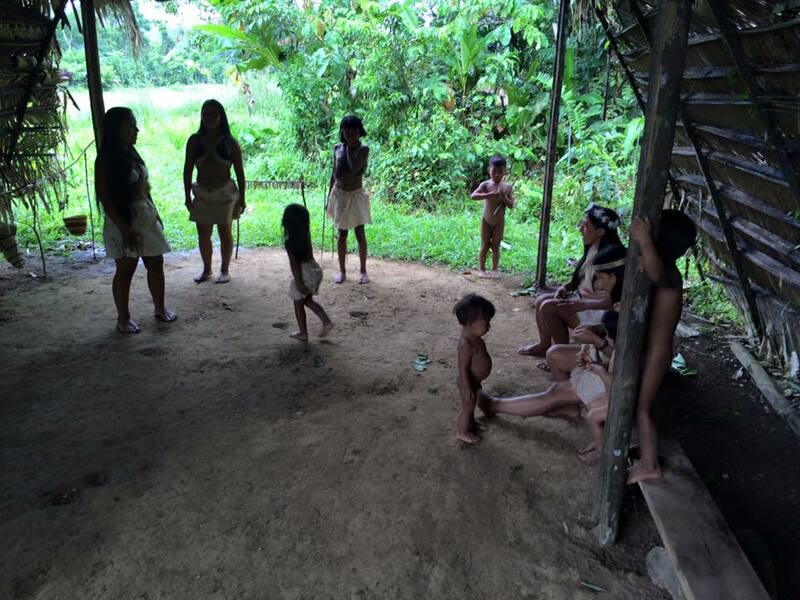 It would be difficult to find a more happy and contented people than the primitives in the Torres Straight Islands as they lived without contact with modern civilization. Indeed, they seem to resent very acutely the modern intrusion. They not only have perfect bodies, but an associated personality and character with a high degree of excellence. One is continually impressed with happiness, peace and health while in their congenial presence (p.187). Or what was said about the people of the Marquesas Islands by the early navigator’s.. 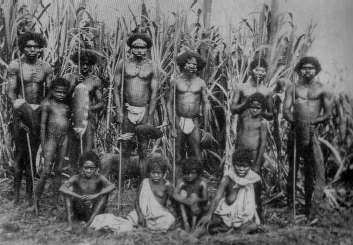 The people of the Marquesas Islands were enthusiastically extolled for their beauty and excellence of physical development by the early navigators…They reported the Marquesans as vivacious, happy people…The early navigators were so impressed with the beauty and health of these people that they reported the Marquesas Islands as the Garden of Eden (p.116). Here is another picture…Do you see how well built these guys are? Especially the one on the far left and the far right? This is about as perfect as you can get. And these guys don’t go to the gym or drink protein shakes! Or we can take a look at the Asaro mudmen of Papua New Guinea. Horticulturists who eat similarly to modern day paleo dieter’s. Eating sweet potato’s and fruits from their garden and meat from livestock. Well I’m going to give him a few. They aren’t optimally nutritious, and they have immunogenic and allergenic properties in their proteins. They also have higher food palatability and reward which causes you to eat more than you should. Dr. Mattieu Lalonde who got his Ph.D on organic chemistry from Harvard gave a great speach at the Ancestral Health Symposium in 2012 on just why you shouldn’t eat these foods. He is a very smart guy and this is well worth watching. Grains especially don’t come out too well. Legumes fair better and dairy does fine. If you are one of those people who can handle dairy I’m all for it, but many are not. And even Jabr arch-nemesis Mark Sisson says that legumes are ‘ok’. Although people should still be concerned about their phytic acid content, which stops you from absorbing a lot of the nutrients present in legumes. Meaning legumes probably aren’t as nutritious as their content contains. They are also high in lectins which are potentially toxic and can lead to autoimmune problems. But the answer on grains is clear. If you are looking for the optimal diet, why would you make grains a staple of your diet when they simply aren’t as nutritious as meat and vegetables? Especially grains in their modern form. And the reason they are not as nutritious to our bodies has nothing to do with chance, it is because we did not evolve to eat them over millions of years. These are a relatively new food group to our species. Paleo logic, and it is backed up by nutritional data. Ferris Jabr says that people like Mark Sisson and other paleo folk don’t understand evolution and science, but I think this post shows that he is the one who has it backwards. 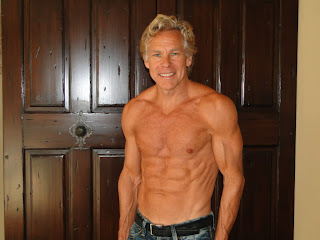 After all, Mark Sisson is 60, follows the paleo diet and lifestyle as best he can and has the body of a 20-something UFC fighter. Ferris Jabr is a 20-something year old who thinks Mark Sisson’s lifestyle is illogical and has a body similar to Screech. You should post this rebuttal in the comment section of Jabr’s article.